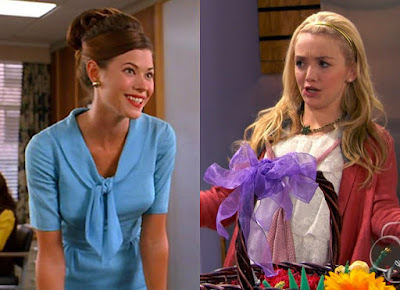 If you’re like me and still smarting from the loss of Don Draper and company, then the name Peyton List probably calls to mind the actress who played Jane Siegel Sterling on Mad Men. Jane was the weird fusion of Joan and Betty who was briefly Don’s secretary before becoming Roger’s wife. However, if you’re too young for Mad Men or one of those adults who gets off on Disney sitcoms — and you are sick, you sicko — then the name Peyton list calls to mind an entirely different actress, who stars on the Disney Channel sitcom Jessie, which for all I know is about, like, four diverse kids who open a hotel so their band can perform songs or some garbage. Regardless of which one is your primary reference for the name, you should probably know that there are two, just so you don’t read that Peyton List is starring in some new movie and then end up leaving the theater in huff when you find out that it was actually the other one, the one you find emphatically inferior. Not that I’m all that concerned for either, necessarily. No, this is just one of those pop culture mysteries in which something was allowed to happen that conflicts with my understanding of how Hollywood words, like how Law & Order: Los Angeles just didn’t work. In case you’re wondering what became of Old Peyton List, she’s currently playing a villain on The Flash and camping it up Julie Newmar-style opposite Wentworth Miller, who’s playing Captain Cold. I love her in this role and am hoping she sticks around. You might think a CW superhero show is a step down for a Mad Men alumna. You might be right, but Old Peyton has decent genre cred: She was previously on The Tomorrow People and Flash Forward as well as having played Lucy Lane on Smallville. Best of all, however, is the fact that on The Flash, she’s playing Captain Cold’s sister, who in the comics is a villain in her own right who wields a pair of magic ice skates that create their own ice, allowing her to skate anywhere. The magic ice skates will probably not appear on the show, but she has inherit the comic book supervillain name: Golden Glider. Finally, there’s a weird Mad Men coincidence: Captain Cold’s real name is Leonard Snart, presumably because the word snart had no meaning when the character was created back in 1957. His sister’s name is Lisa, so that means Old Peyton plays a character named Lisa Snart, which I can barely speak out loud without laughing. Simultaneously, Mad Men January Jones, was appearing on The Last Man on Earth, playing a character named Melissa Shart, presumably because Will Forte knew exactly what that word means. Yep: Lisa Snart and Melissa Shart. Sometimes, the universe just gives you a gift.